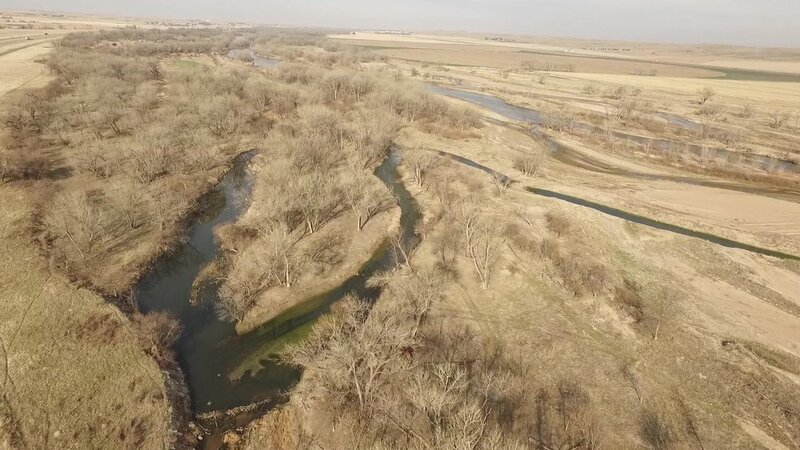 A professionally developed hunting and recreational property on the South Platte River in southwestern Nebraska that includes approximately 1 mile of South Platte River frontage and a live freshwater creek flowing through the middle of the property that feeds the fishing pond on the back side of the first class hunting lodge. 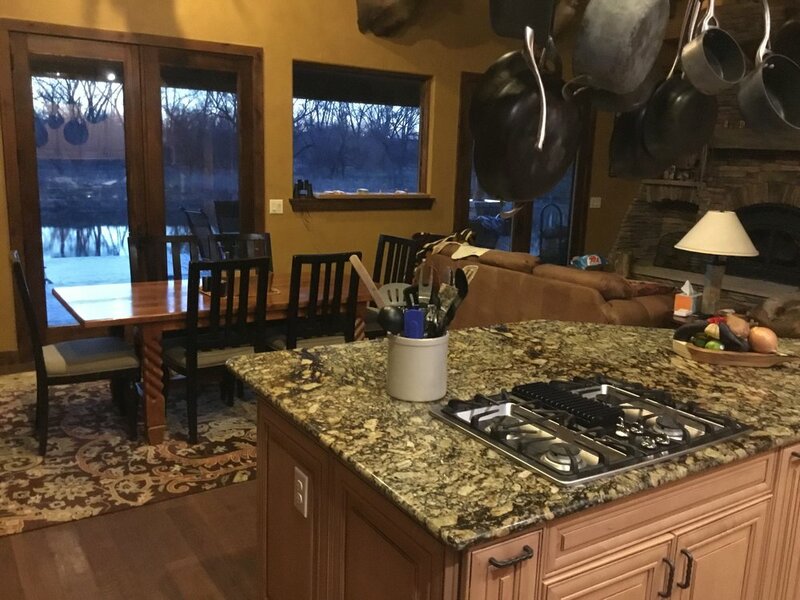 This property has been developed as a hunting and recreational retreat though the use of Ducks Unlimited knowledge and leadership. 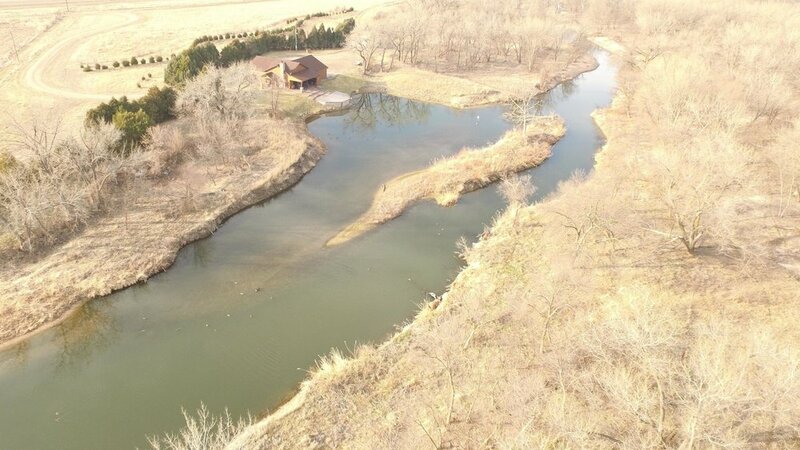 The creation of sustained a water way, food plots, tall grass fields, a stocked fishing pond and controlled hunting practices make this opportunity stand out amongst the available competition. After several years of care and creation the property is now available for a new owner to enjoy. 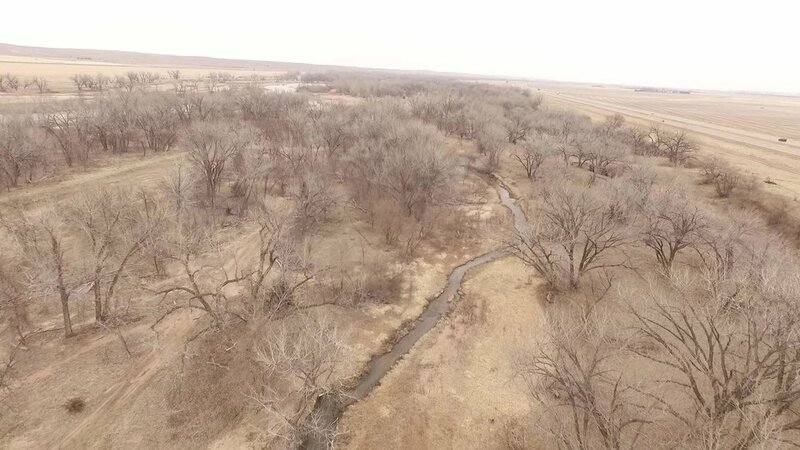 Just over 200 acres of recreational property that includes South Platte River accretion, native grass habitat, wetlands enhancements, developed UTV trails with tubes for the 1 mile of year around flowing freshwater creek to flow through and cross fencing for livestock grazing. 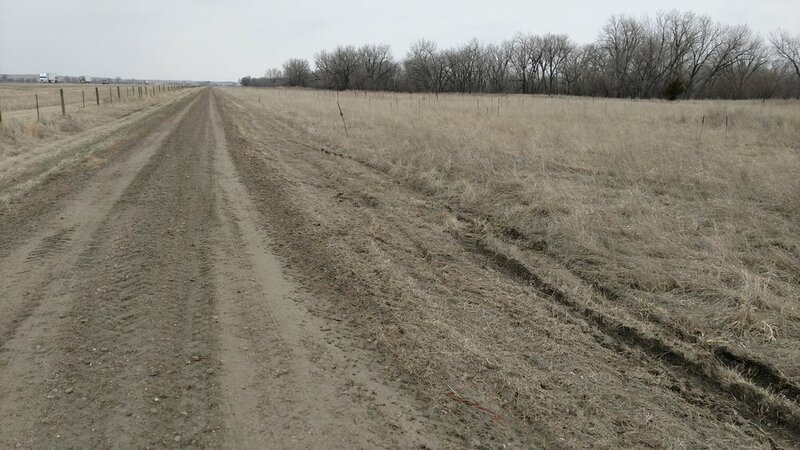 The habitat on this property is thriving with whitetail deer, turkey, pheasant, quail and the occasional elk. 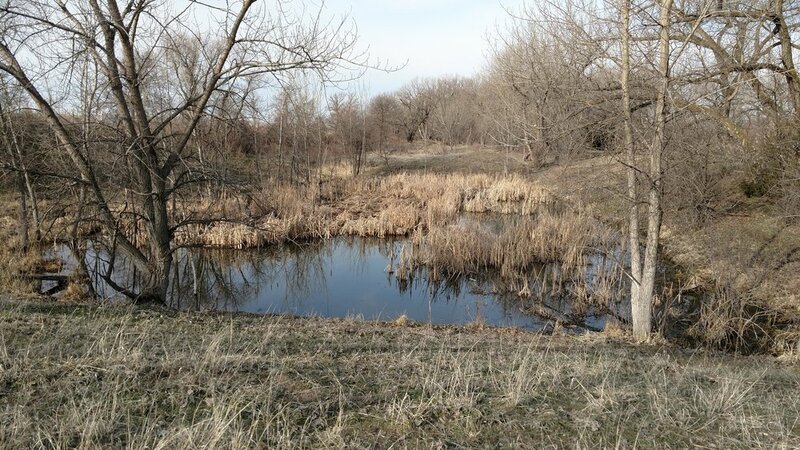 The Owner has not hunted the water fowl on this property as they have used it as a sanctuary. 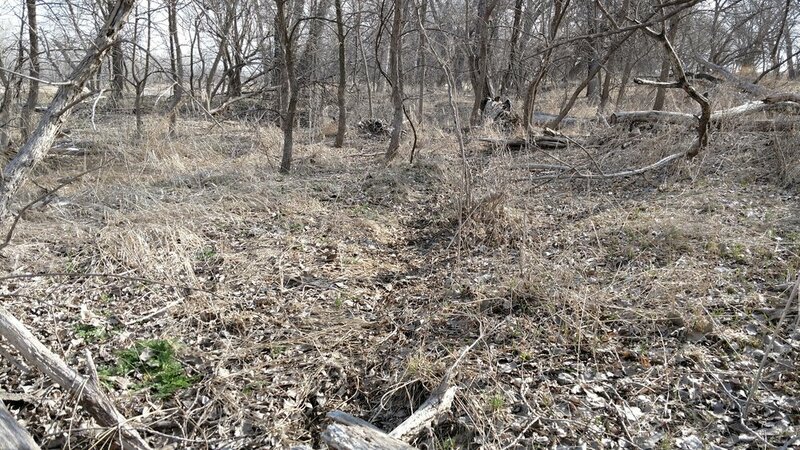 Many ducks and geese call this property home year around. Witnessing the large number of geese flying in to land on the fishing pond on a cold crisp January evening is a sight to behold. 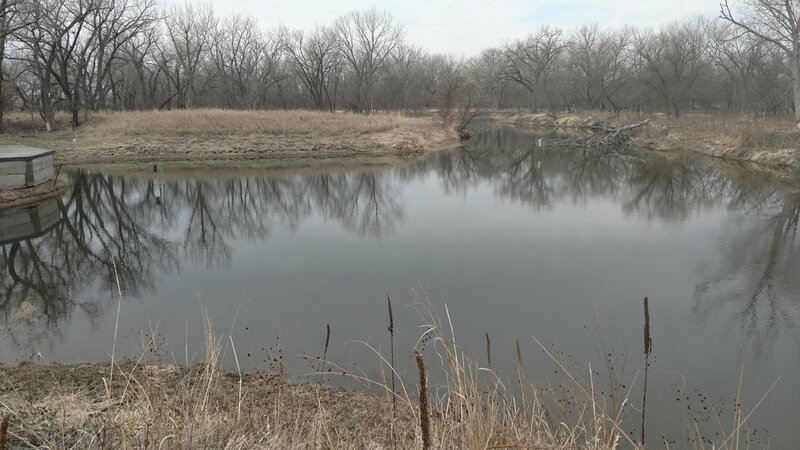 A Ducks Unlimited program was used to develop the habitat. 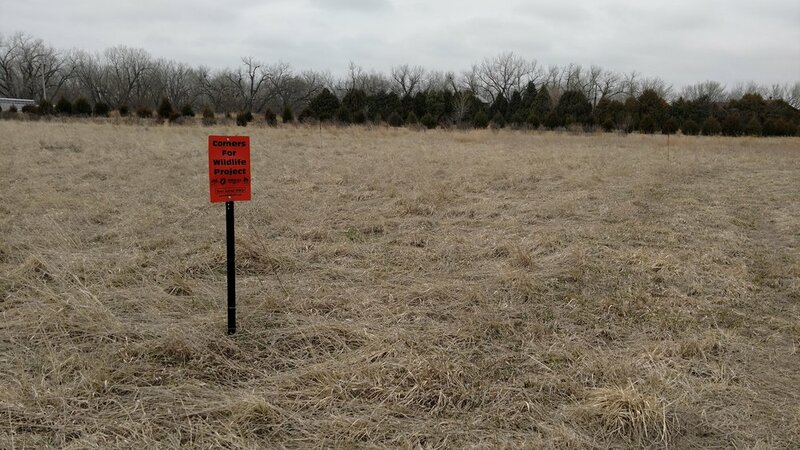 The property includes planted food plots, deer feeders, and a 35 acre native grass field that earns a Pheasants Forever payment of $100 per acre annually until 2022. 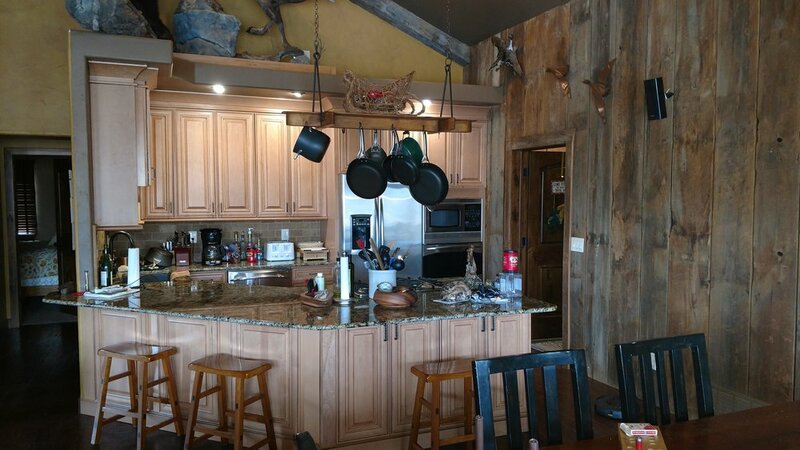 Built in 2011 the 2,625 square foot lodge is a first class hunting lodge the sits on the edge of the fishing pond. They have planted trees on the south side for a sound barrier and to offer seclusion. 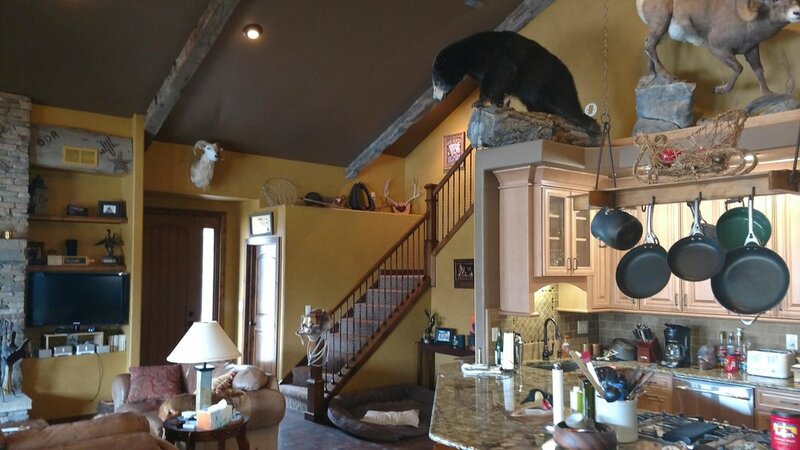 The completely furnished home with 2 king size beds, 3 queens and a full bed was built from the ground up as a retreat for family or “hunting buddies”, the lodge can sleep up to 11 hunters. 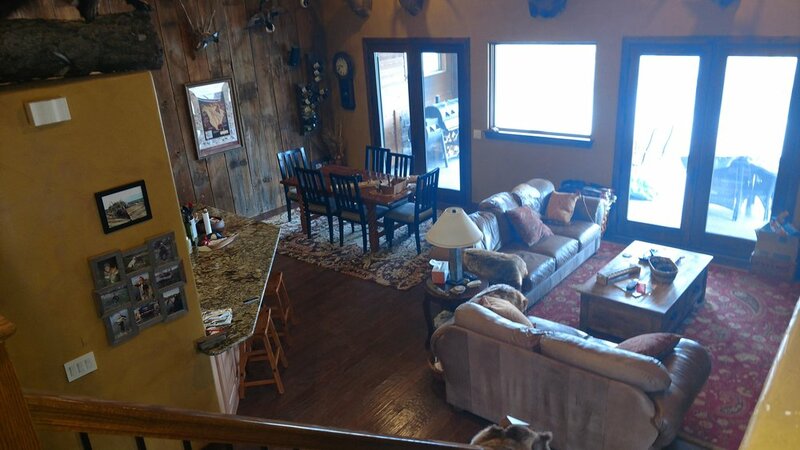 The lodge sells fully furnished. 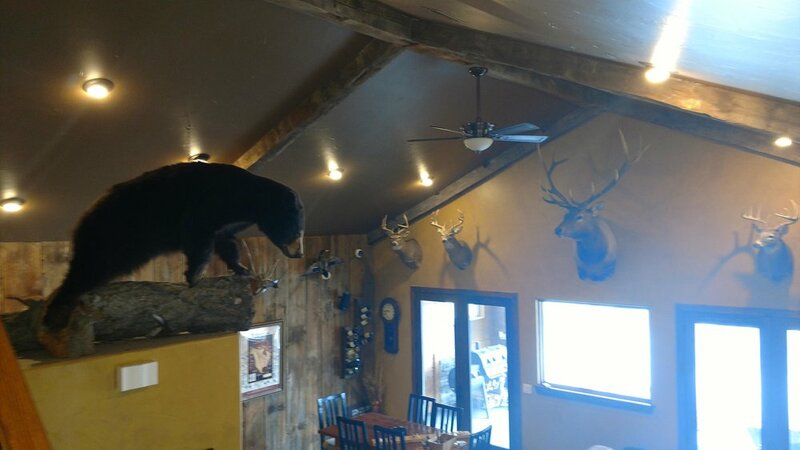 The owner will retain the artwork and mounts from the lodge. The open floor plan encompasses the galley style kitchen, dining area and family area on the main level. All of this area includes views of the stamped concrete patio and deck that approaches the fishing dock. This area of the lodge is serviced by the stone Quadra Fire fireplace. 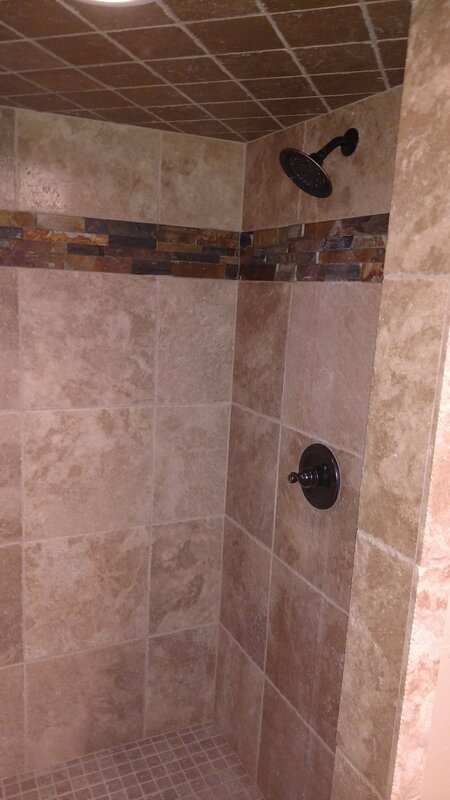 Also on the main floor is the master bedroom and bath, another bedroom and another full bathroom. 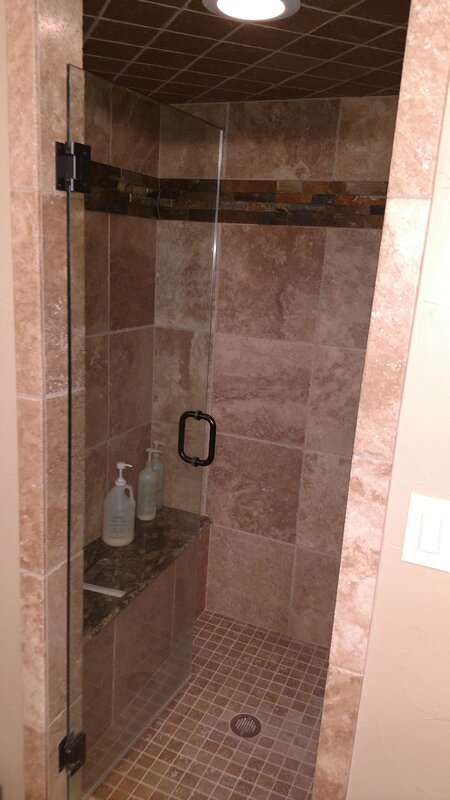 The owner spared nothing in the custom tiling of the showers and vanities. 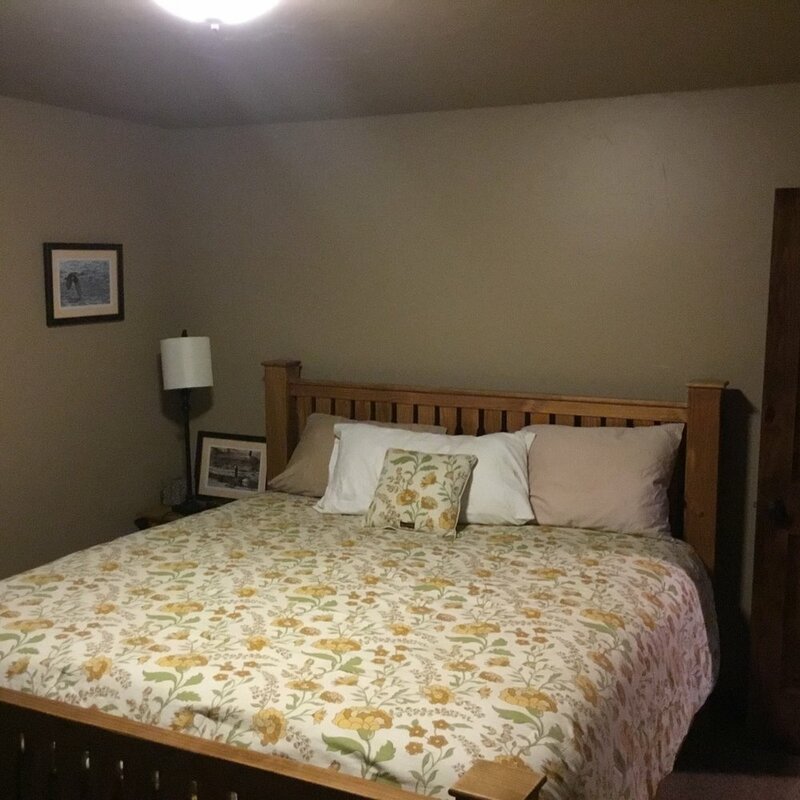 Storage is provided by large clothes closets and a linen closet. The upper level of the lodge is an open area that could sleep 4 separate adults or as many children as you dare to put together. The open stair way leading to the upper level leads to the vaulted ceilings dressed with reused timbers salvaged from an Ohio covered bridge. Speaking of the fishing pond, just a few yards from the patio door of the lodge is the 2-acre pond stocked with large mouth bass, blue gill, catfish, crappie and other varieties of fresh water fish. A stamped concrete patio offers a shaded view of the pond and the enjoyment of watching family fish from the dock. 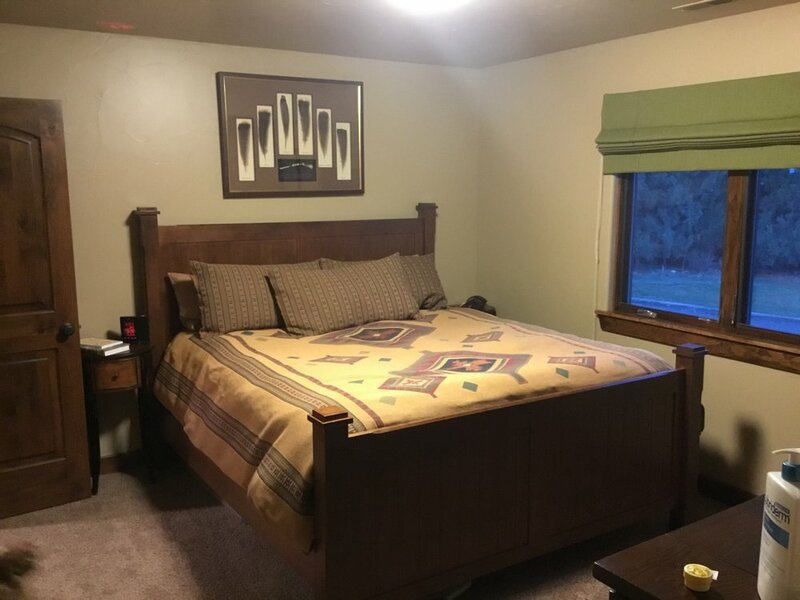 The attached 2 car heated garage includes the hunters lockers, game cleaning station, mechanical room for the lodge and access to the laundry room of the lodge. 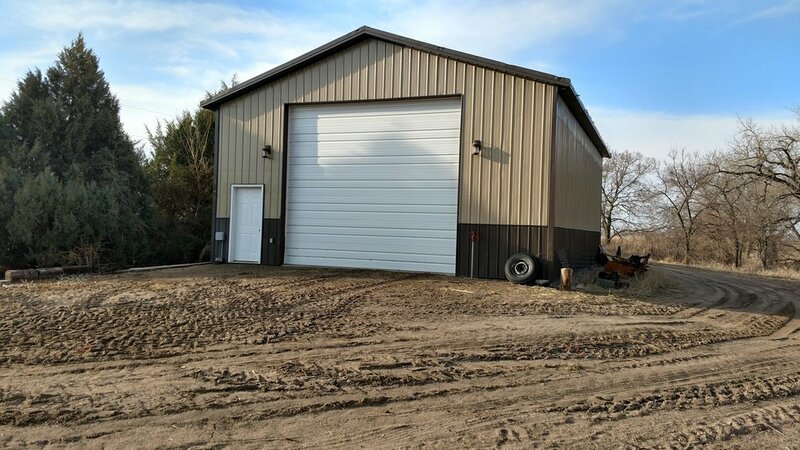 The 40’ x 30’ steel shop building has a 12’ overhead door. 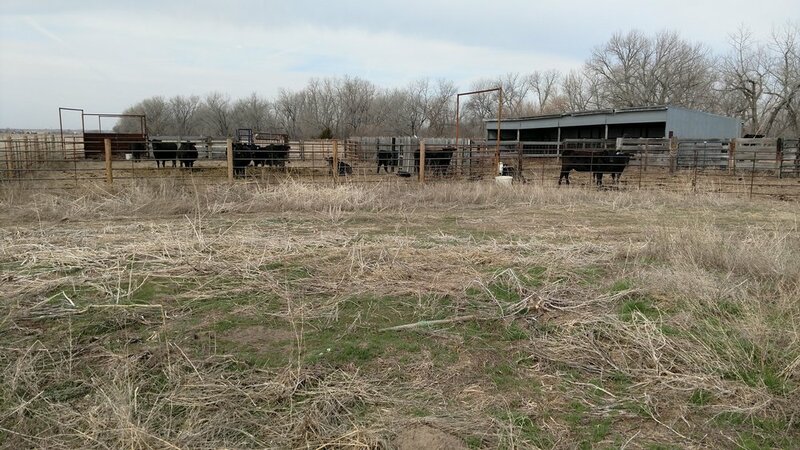 The open front loafing shed area includes steel pens for working cattle or keeping horses locked up for riding. 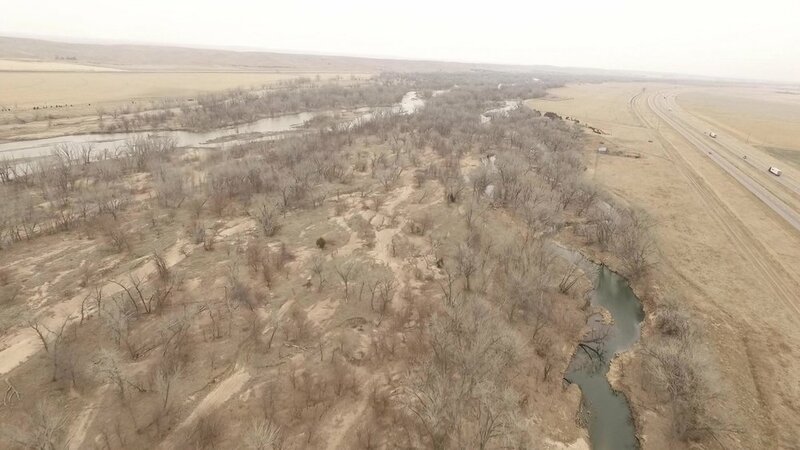 Location: This fantastic opportunity is located between Sutherland and Paxton, NE at the end of a county maintained gravel road. 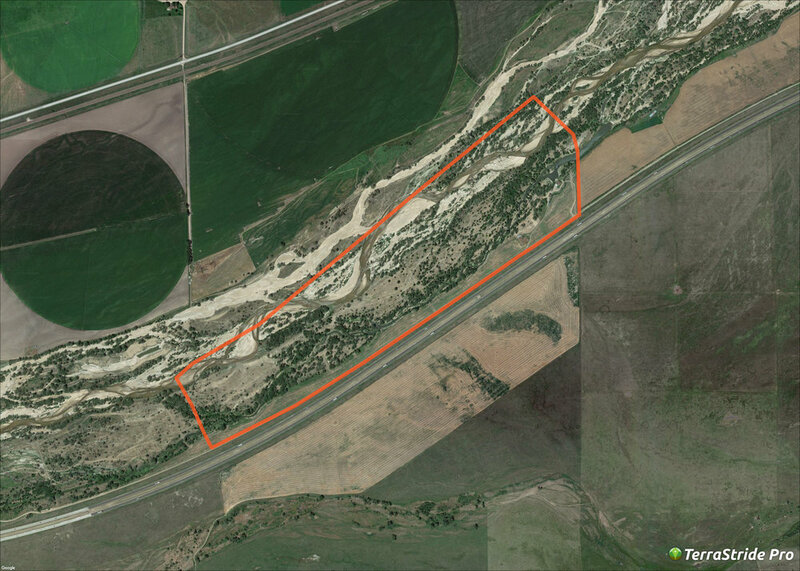 Access is from the Sutherland I-80 exit then south to Cemetery Road and the west to the I-80 overpass. After you cross I-80 continue west to the property gates. 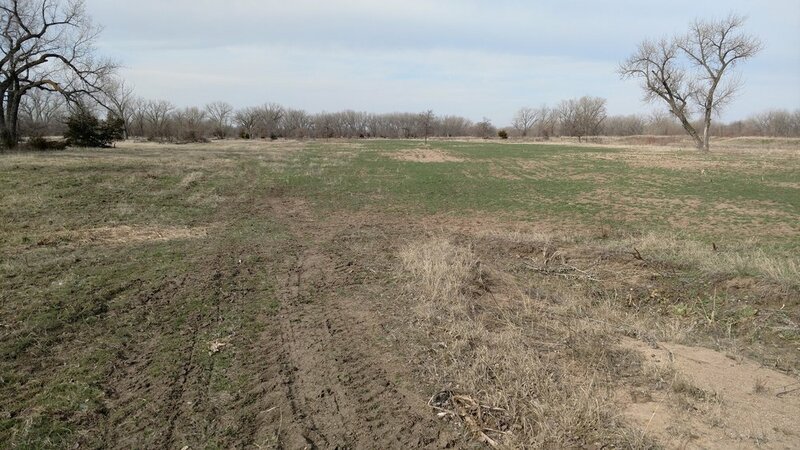 Acres: A surveyed completed by Ducks Unlimited shows approximately 205 acres. Taxes: 2018 real estate taxes payable in 2019 are $6,670. 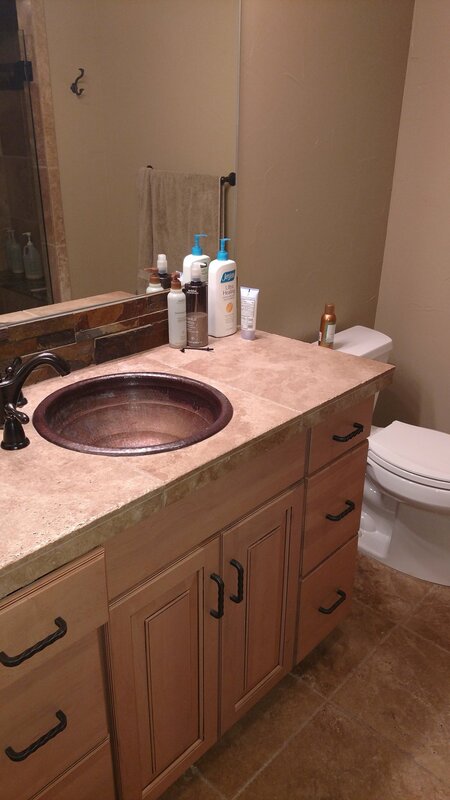 This property is being offered as two opportunities. 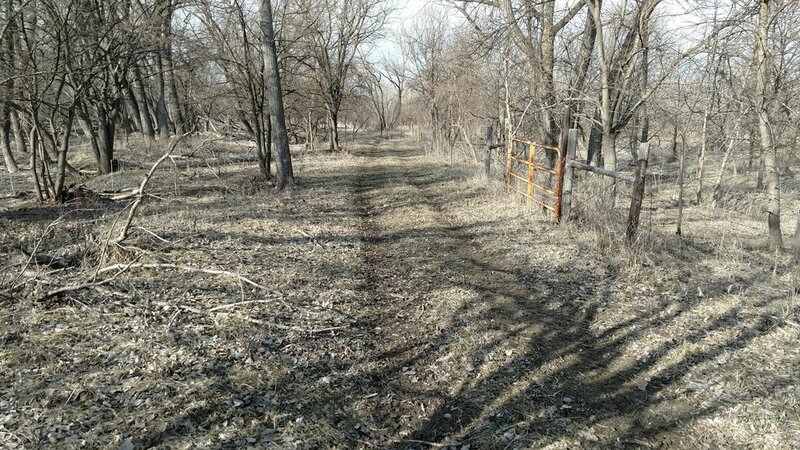 All of the property as approximately 205 surveyed acres for $950,000. 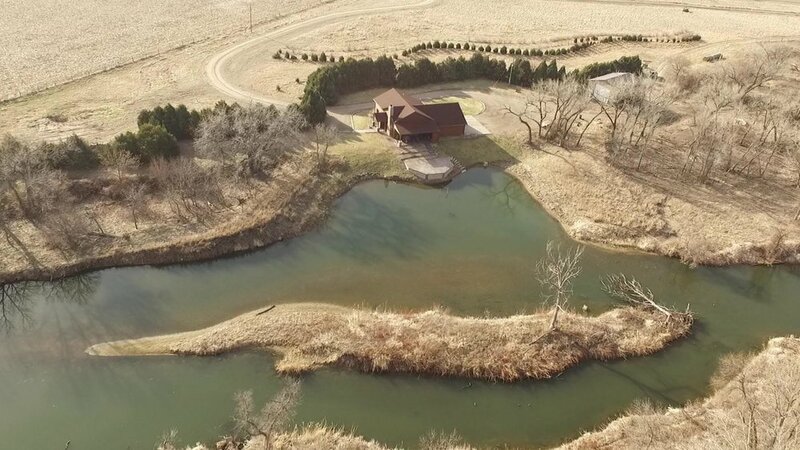 The very east 900’ of the property including the lodge, fishing pond and loafing shed on approximately 38 acres for $500,000.